For high voltage devices of the HPS series the system ground (HV_GND) can be galvanically separated from the protective ground (PE). This is done by opening a short circuit connector. This ensures a greater process integrity at ARC endangered applications (e.g. electron beam coating). The maximum voltage between system ground and PE is limited by a protection circuit to less than 200 V.
ECH series crates are designed to provide an internal GND which is connected with the modules, but is galvanically isolated from the PE and the crate case to avoid ground loops via the PE. 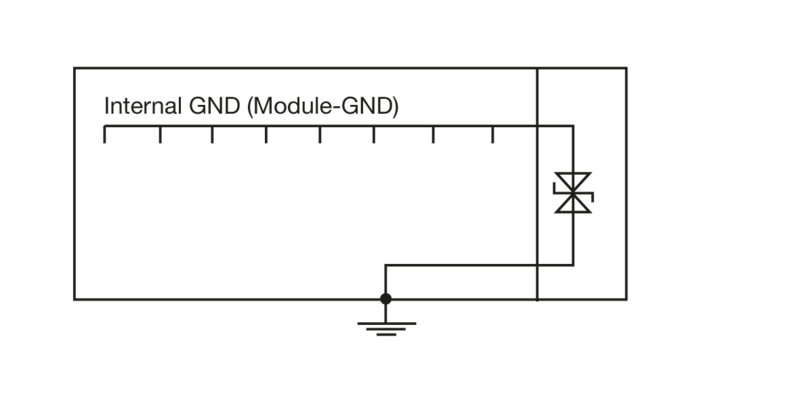 The maximum voltage between the internal GND and the PE is limited by a protection circuit to less than 60 V.
In order to improve the stability and noise properties of the high voltage channels in widely branched systems, iseg provides several options for the galvanic isolation between modules or channels. This allows to avoid ground loops and equalizing currents. 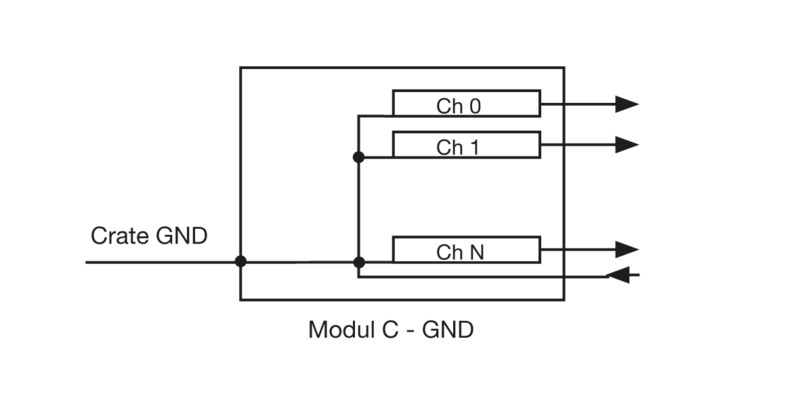 For modules with single channel floating it is possible within some limits to switch polarities interchanging the connections or to connect channels in series. All channels and the processing unit are galvanically connected. Within a crate all CG modules are galvanically connected. All channels and the processing unit are galvanically connected. The module GND is isolated from the GND of the crate. Within a crate all modules with CFG are galvanically isolated. 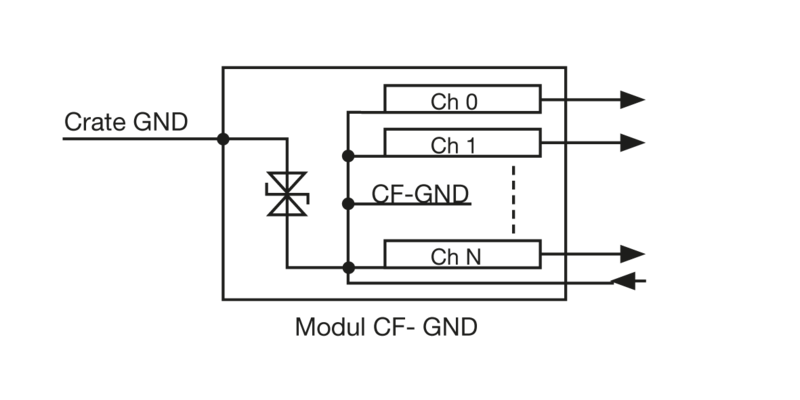 A protection circuit prevents differences in the potentials bet- ween the module CF-GND and the crate GND of more than 60 V.
All channels are galvanically isolated from each other and from the module GND. 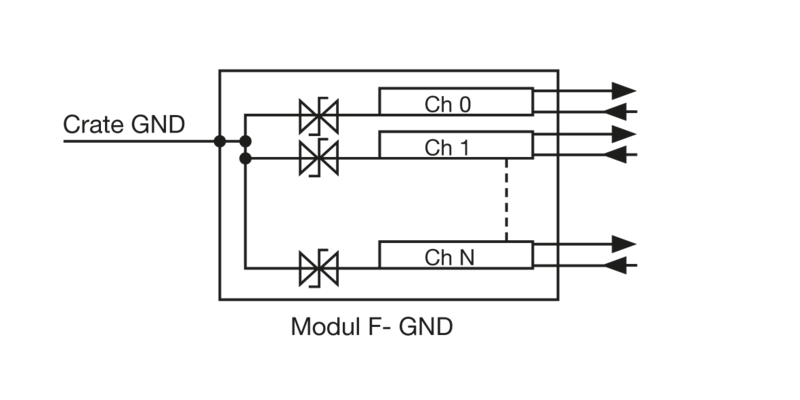 By default a protection circuit prevents differences in the potentials between the channels and the module GND of more than 25 V. As an option this isolation can be designed to enable potential differences up to 2,000 V. With this option the user is responsible not to exceed the maximum ground potential differences!